The Cherri Bomb girls are all about putting on a great show with a delicious twist. Entertaining, talented, classy, alluring & unique. Book them now for your special occasion and venue! Sassy and super talented musicians is what makes up this all girl band. With no other act like them in Australia, these girls know how to rock while maintaining their feminine allure. 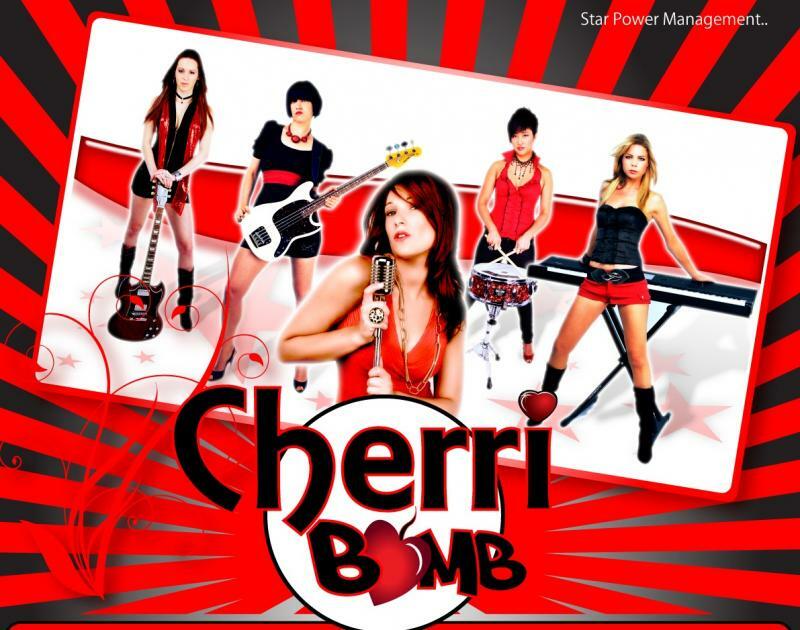 Sure to entertain any crowd, Cherri Bomb has a versatile sound which combines Pop Rock with fun Commercial Dance Music as well as easing back in to a more Acoustic Lounge feel to suit any event. The Cherri Bomb girls are all about putting on a great show with a delicious twist. MORE SONGS AVAILABLE-TAYLORED TO YOUR EVENT!